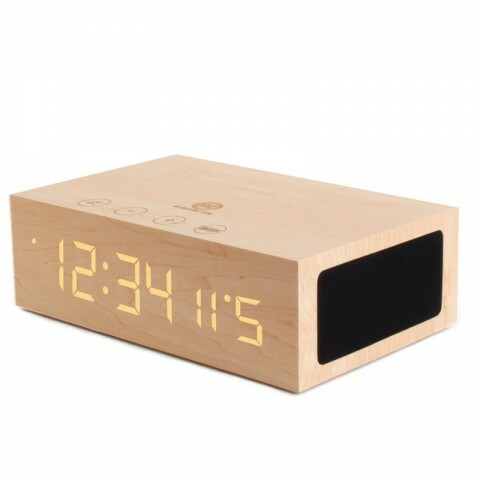 A modern Bluetooth wireless speaker and alarm clock, equipped with a bright LED display. 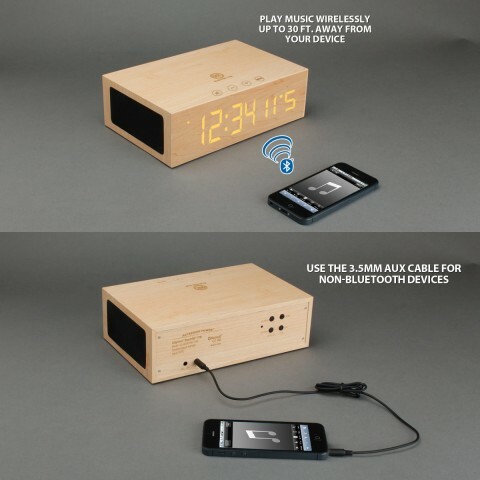 Encased in genuine wood, the TYM will serve as your favorite electronic accessory while enhancing your decor. The TYM is more then a powerful speaker but has many functionalities that make everyday activities easier and more enjoyable. 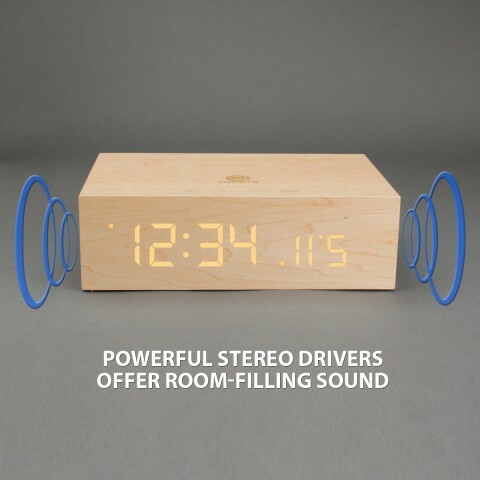 Enjoy the speaker as a bedside accessory because it also functions as an alarm clock. 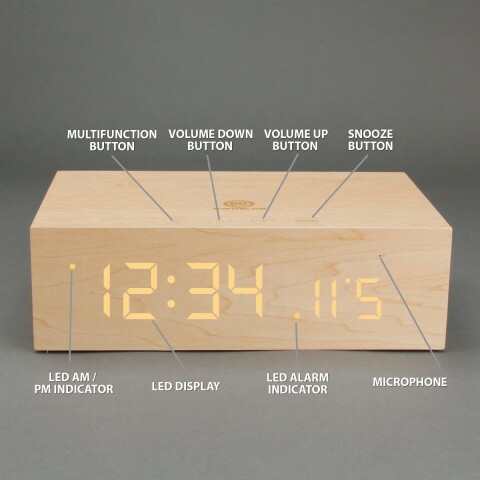 Made with a bright LED display, you will clearly see the date and time display. Easily check the time and set alarms! Encased in a dark wooden design, the TYM is modern, contemporary and best of all compact for easy moving from room to room. 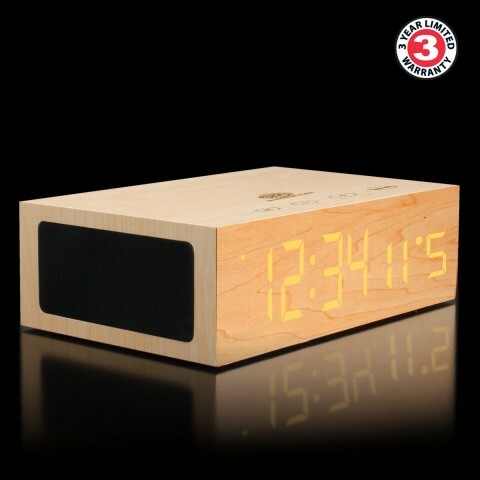 Another feature that makes the TYM speaker perfect for your night stand or office is because it is equipped with a USB charging port. Using your phones or mp3 players OEM charging cable, plug it in to avoid a dead phone while your sleeping and/or listening to music. Are you using the TYM as an office accessory? Make hands-free wireless calls through the integrated microphone. The TYM features a stereo set-up with a powerful driver on either side of the casing to give you a powerful, crisp sound. Using Bluetooth v2.1+EDR with A2DP and AVRCP for high-fidelity audio transmission, you can easily stream music up to 30ft away. 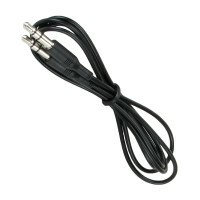 Either pair your device via Bluetooth or using the included 3.5mm cable that works with any device with a headphone port. 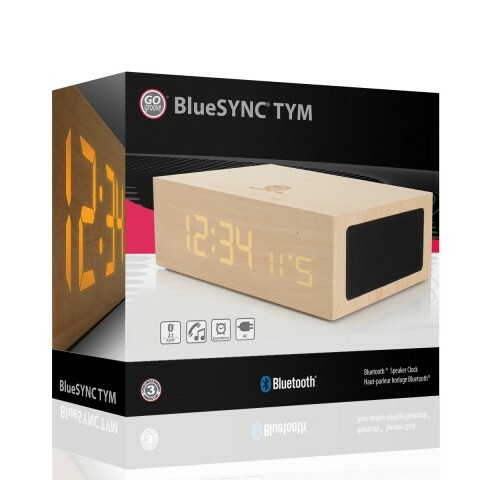 The TYM has an extremely user-friendly design, especially when it comes to pairing Bluetooth devices. The speaker also comes with button controls so you can change the time, set alarms, raise or lower volume, play & pause music, and even answer / end phone calls. 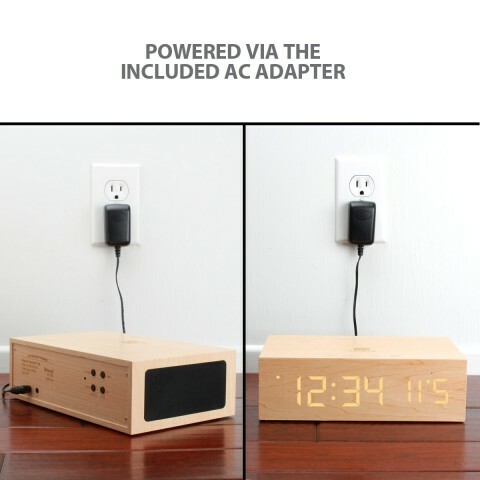 Simply plug in the AC adapter, grab the Quick Start Guide, & you’re ready to begin using your TYM.